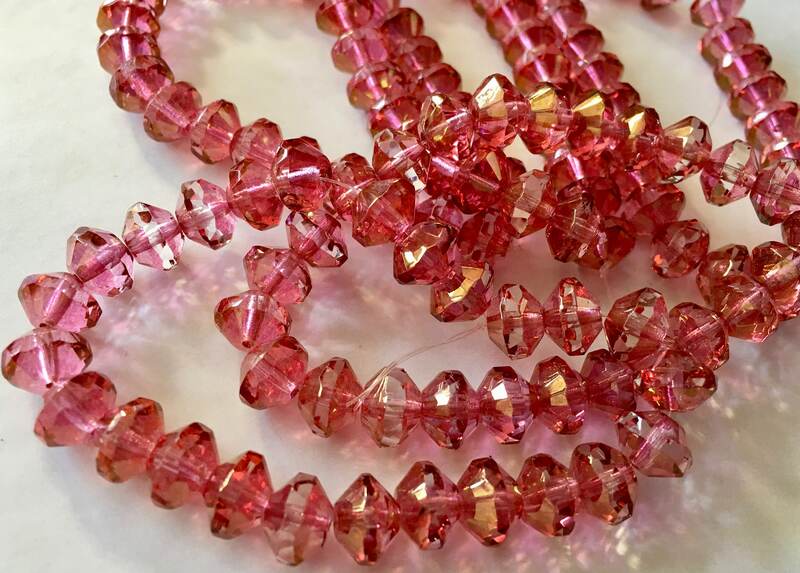 Fuchsia pink transparent Czech pressed glass saucer shaped beads. 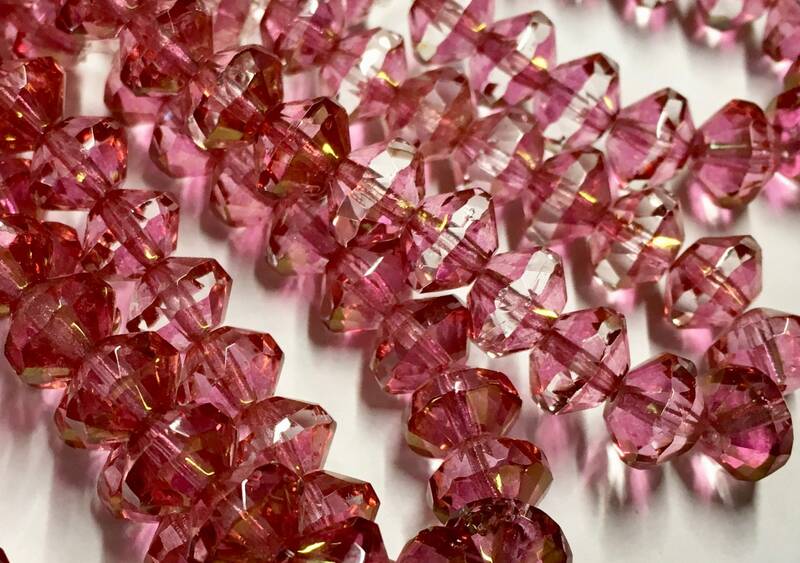 These beads have a faceted strip around the middle. They measure 6mm x 9mm. You will receive 25 beads.